UPDATE: TOUR POSTPONED! New PRINCE Tour Announced! Prince Spotlight: Piano & A Microphone! UPDATE! TOUR POSTPONED! 09 Nov UPDATE: TOUR POSTPONED! New PRINCE Tour Announced! Prince Spotlight: Piano & A Microphone! UPDATE! TOUR POSTPONED! 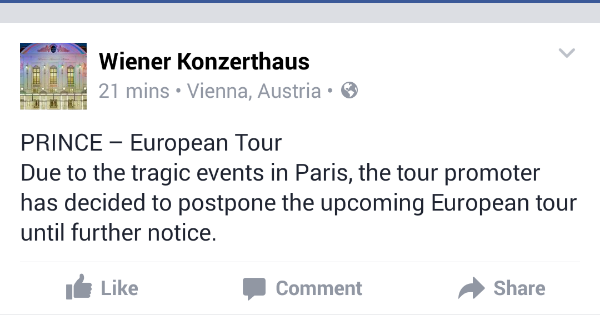 UPDATE: THE PRINCE TOUR HAS BEEN POSTPONED DUE TO THE TRAGIC EVENTS IN PARIS. THIS ANNOUNCEMENT WAS MADE BY THE TOUR PROMOTER AND THE TOUR’S 1ST STOP IN VIENNA WITH THE VENUE RELEASING THE STATEMENT BELOW. Prince is set to embark on a tour of 16 cities in 11 countries in less than a month! The first date will take place in Vienna November 21st (Konzerthaus of Vienna) and end December 22nd in Brussels (Royal Circus.) Another “confirmed” date is Teatro Liceo in Barcelona December 13th. UPDATE: On sale of Prince – Piano & A Microphone tour has been postponed & will not be going ahead at 10am this morning (13TH Friday November. More details to follow. Glasgow Royal Concert Hall 27/11 2 shows! Birmingham Symphony Hall, Tuesday 1 December 2 shows! A new interview on an Italian site debuted early Wednesday morning (late Tuesday evening in the U.S.) You can access the interview here. 2 dates in Denmark, 1 in Sweden, and 1 in Norway. In Britain, 4 dates: Glasgow, Birmingham, London and Liverpool. There will be at least one each in the Netherlands, Switzerland, Italy, Germany, France, Austria, Belgium and Spain. The story was first broken HERE. 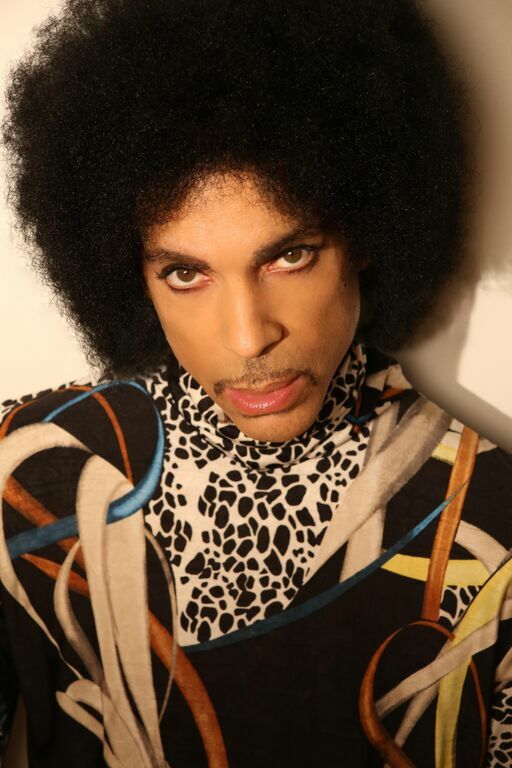 According to the promoter, it is the first time in 37 years Prince has embarked on a tour like this. Also, not all dates have been signed so there might be some changes where dates are added or changed. 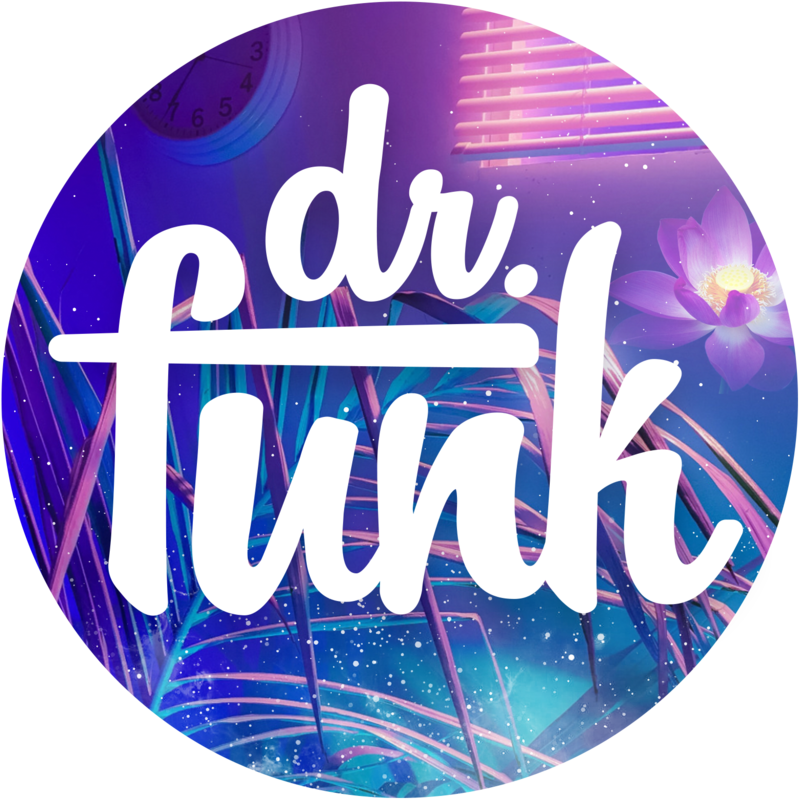 The promoter is Doctor Music (a distant cousin on our Aunt’s side of the family.) and Danish Promoter’s ICO. Prince has just released HITNRUN Phase one in September and 3 albums in the past year (Art Official Age, PLECTRUMELECTRUM) along with an exclusive deal with Tidal Music that has been seeing his extensive catalog on display for the Jay Z run streaming service. When we have more info, confirmed dates, sale dates, will update U here and on social media platforms. Diagnosis: We will be bringing back the PRINCE Spreecast during the tour. U can access it here and join us live on November 25th (tentative) and be on camera and who knows what other surprises will be in store! Come to Aotearoa New Zealand! Please notify me if coming to the US! Pls give dates in uk and amsterdam asap. Prince in majestic Carré Amsterdam sounds great. Waiting for news on date and tickets! Does anyone know what dates the UK shows are likely to be please? When is Prince coming back to Australia? This sounds horrible!! What a boring show that will be. Seeing a guy sit at his piano with no band for an hour is torture!! What happen to the “Hitn’Run” tour?!!! Having shows at P.Park doesn’t count for U.S. tour! I guess I’ll never get to see him live agian. Oh and I’m so glad the Doc got to break the news, seems a decent fellow, and I was checking on him for those of us who don’t tweet or do much social media at all, which now that I’ve watched MR.ROBOT I’m glad! However I would love if some one could actually do what the hacker on that shows premise is all about:) Freedom…. I am with Dee, I would love to see a DVD from this tour or any Prince tour. Can you do some tour dates in the US like Los Angeles 🙂 Love to see you perform each and every time!! Any news on where tickets will be on sale as yet? Can’t find anything anywhere. Thanks. It sounds amazing I hope to see U in Cali, and I hope ufindurwaybackhome. I hope to get my ticket and be part of the happy few peeps attending. Great news Doc! Loving the concept of Prince & a piano. Now, if Prince would just do a swoop Down Under! !